Just as Theresa May’s government writhes over the implications of Brexit, there is a dark irony in the appearance of a major British film celebrating the evacuation of British troops from the beaches of northern France. 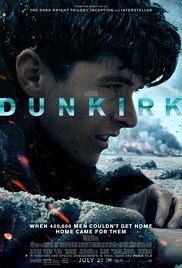 Director Christopher Nolan’s film Dunkirk has opened internationally to the sort of all-consuming hype that suggests that the film’s distributors are well aware that it might feed off and even nourish the inchoate nationalist disquiet that has overshadowed Britain in the past year or so. The film’s marketing slogan – ‘Survival is Victory’ – might well be adopted by May and her beleaguered, confused, hamstrung and ineffectual government – as long as it lasts. The Dunkirk myth – that even the most powerful set-back can be surmounted – has for over 70 years exerted a powerful hold over Britons’ conception of themselves and their nation. Through Britain’s gradual slide from greatness and periodic political and social crises, whenever Britain or Britons fail or face a challenge – losing the World Cup, a particularly deep mid-winter, devaluing the pound or temporarily losing the Falklands – some red-topped newspaper will evoke the ‘Dunkirk spirit’, in the hope of, if not converting failure into success, at least making failure look like success. Dunkirk is about defeat, but in the perverse way in which Britons turn insults into compliments, it is made to seem like it’s about a victory. This is the first way that Christopher Nolan’s Dunkirk is about as dishonest a piece of history you can produce without actually making stuff up. Just about everything in Dunkirk can be represented as actually having happened, but it is a fine example of how a collection of historically accurate vignettes can add up to a misrepresentation of historical reality, perhaps even a betrayal of the truth. As a film, Dunkirk’s narrative complexity conceals its simple mistruths. It tells a story over three time-scales, which come together in what appears to be a climax. For the troops waiting on the beaches, with the Germans encircling Dunkirk’s perimeter (seemingly held by the French), the action takes place over an agonising week. For the civilians, skipper and crew of the motor boat Moonstone, the action takes place over a day, as the boat approaches Dunkirk and becomes entangled in the fates of the soldiers seeking rescue and the RAF pilots who protected them from above. For the pilots, constrained by their short-range Spitfires from remaining over the beaches for very long, their experience is measured in a bare hour. The narrative cuts swiftly and not always clearly between these tempi, at times coinciding, as one set of characters encounters another. 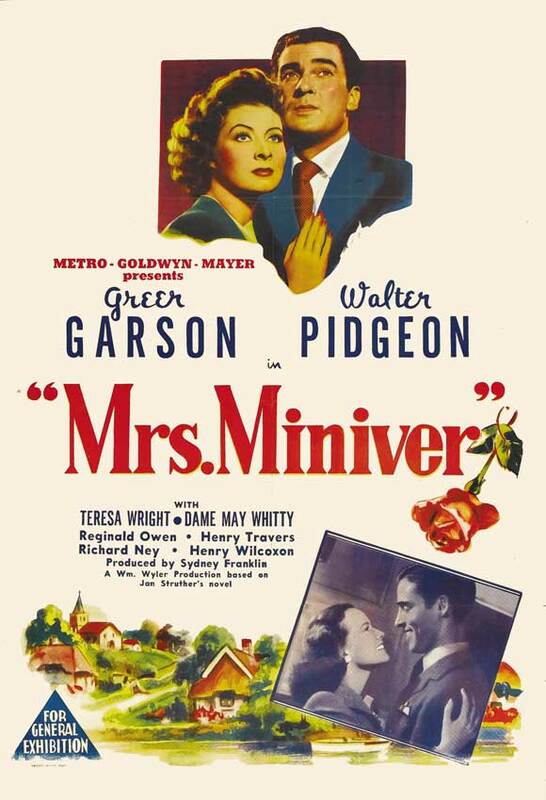 In this the film is too clever by half, because the three interlocking paces actually don’t add up to much in the end, though the device does serve to conceal the film’s fictions and misrepresentations. Clearly, Christopher Nolan made several significant decisions in framing and telling his story. First, he eschews dialogue – or much dialogue, or much intelligible dialogue – in favour of very loud and often startling sound effects and especially music. He uses Hans Zimmer’s score of repetitive techno mingled with what Nimrod from the Enigma Variations might have sounded like if Edward Elgar had grown up in the 1970s in Frankfurt. While the sound effects and music contribute to the film’s atmosphere of tension – I spent the first half hour noticeably tense physically – the film fails to even hint to its viewers that war has horrific effects on those killed or wounded. There is almost no blood, hardly any screams, nothing to suggest what bombs and bullets and burning oil do to bodies. That is another aspect of Dunkirk’s dishonest portrayal of history: war is not rated to be acceptable to 15-year-olds. One of the film’s most characteristic deceptions is to present a war film in which there is no human enemy. From the opening moments of the film, when ‘the enemy’ fire on a group of British troops who are shambling toward the evacuation beaches – fired at from behind the audience’s heads – we do not see the Germans. They are literally dehumanised. They appear as aircraft – Me109 fighters, Ju87 dive bombers and a Heinkel bomber – but we never see their pilots and indeed – astonishingly – the word ‘German’ is not heard even once in the film, or even in the film’s opening titles. We are told that ‘the enemy’ has a British and French army trapped at Dunkirk, something which it tells us will ‘impact’ all involved. 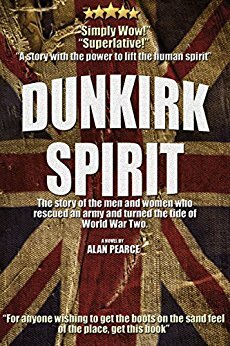 Stripping the Germans of agency and even identity reveals Dunkirk to be an insidious, jingoistic conception. It may be contrasted to other war films – Waterloo, The Longest Day, A Bridge Too Far, Tora!, Tora1, Tora!, even Bridge over the River Kwai – in which war or battles were represented as having two sides, not just a team of heroes and a … a what? A faceless, malevolent, senseless enemy. For example, in the film the Germans – whoops, ‘the enemy’ – bomb and sink a hospital ship evacuating casualties from Dunkirk’s Mole. While a British hospital ship was bombed on 2 June (and it sank the day after) it was travelling to Dunkirk and was carrying no casualties. It would seem to have been attacked inadvertently; not so in the film. But it’s not just the Germans who are ignored. All of the film’s protagonists are British, except for two French and Dutch characters, who make a minor contribution to the plot. The characters certainly represent a range of human motivations and behaviours; this is not a one-dimensional portrayal of the British experience. But it is lop-sided in its representation. Then there are the Spitfire pilots, whose self-sacrifice, though firmly based in reality (a damaged Spitfire actually did land on the beach) nevertheless carries on the chipper lineage of Kenneth More as Douglas Bader in Reach for the Sky and the plucky pilots of the Battle of Britain. These are characters whose heroism is presented in ways that would be recognisable and lauded by viewers of the great British war films of the 1940s. Then there is the crucial element of the civilians on the Moonstone, who not only rescue oil-soaked soldiers but suffer a loss (in a way impossible to describe without attracting allegations of spoiling). Dunkirk openly endorses and promotes the myth of the heroic ‘little ships’, claiming that few naval vessels were available. In fact, not only did warships retrieve the vast majority of troops, but the little ships were mostly crewed by sailors and naval reservists. The stirring scenes of the flotilla of ‘little ships’, their civilian crews including (for a diverse Britain) women and even men of colour, staring determinedly ahead, is among the most dishonest of the entire film. You might think that bit of heroic myth-making harmless; I don’t. Extolling myths (such as the other Dunkirk myth, that Hitler ordered his attacking troops to halt) merely propagates a bad, unjustifiable version of history, and with a megaphone of this magnitude Nolan’s Dunkirk has undone the work of years of patient scholarship. Dunkirk’s presentation of the soldiers – whose evacuation forms the core of the drama – is especially problematic. 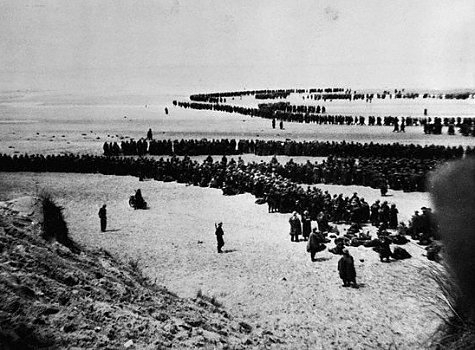 The action centres on a small group of more-or-less indistinguishable soldiers, all dark-haired, all of whom have abandoned the discipline and order of the troops who stuck with their units either in fighting to defend the beach-head or to be evacuated in a disciplined and orderly way (or, indeed, to go into captivity in formed bodies). These men, who act as scrimshankers and even deserters (carrying a stretcher onto a ship in a ploy to get aboard), turning on each other, denouncing each other as spies, are portrayed as behaving badly entirely without judgment. It is the lack of discipline of these men, their selfishness and lack of comradeship that makes so dubious and contentious the film’s claims to celebrate the ‘Dunkirk spirit’. To me, it makes hollow and indeed insulting the film’s promoters’ lauding of real Dunkirk survivors as ‘heroes’, inviting them to the London premiere and feting them as if the film told their stories. If the entire British Expeditionary Force on the beaches of Dunkirk had acted as these film characters act, then there would have been no evacuation to celebrate. Units would have melted away, men would have fought each other to get off the beach. No-one would have queued to wait their turn, either for a boat or for capture, as the overwhelming majority did. But a film about a group of men waiting in a queue is unlikely to capture the imagination, so of course the film’s major protagonists have to be mavericks. In this the film Dunkirk actually betrays those whom it professes to admire and exult. The protagonists get away not because they were stoic, disciplined, patient, selfless and heroic, but because they nicked off and left their mates to face the ordeal by themselves. This may reflect a human reality, but it is not (I think) the reality of the essence of Dunkirk, the history. The production has been much praised for trying to get right the war stuff – and for doing so without resorting to computer-generated effects. It mostly looks right (except for the 1970s formica tables and synthetic blue upholstery on what is supposed to be a 1940 railway carriage). One consequence of Nolan’s decision not to rely on CGI effects (though they are used, according to the credits) is that a couple of thousand extras (and a good number of cardboard cutouts) have to do duty for the 400 000 troops on the beaches. The spectacle of the evacuation was evoked so much more effectively by the recent romantic comedy drama Their Finest, which did it using the 1940s equivalent of CGI, the artful use of a painted ‘matte’. Still, the Spitfires and Messerschmitts do look right, though in one of the final scenes a Spitfire with a dead engine seems to fly about for around ten times longer than would have been possible. Do these kind of exaggerations and misrepresentations matter? As ever, the film’s apologists will remind us that ‘it’s not a documentary’. No, but Christopher Nolan’s Dunkirk will inform an entire generation’s understanding of the events of the summer of 1940, just as (say) Peter Weir’s Gallipoli shaped the interpretation of Gallipoli, and arguably the perception of the Great War for a generation after 1981. What matters is how feature films represent and interpret history; not getting it wrong does matter. The ship sunk by dive bombers need not have been a hospital ship; the dialogue didn’t have to mention the supposed halt-of-the-Panzers; the little ships could have had some naval reservists among their crews. And so on. Dunkirk ends with another clunky bit of real history, when one of the characters – no spoilers – reads from a newspaper Churchill’s famous 4 June ‘we shall fight them on the beaches’ speech. Nolan might be forgiven for choosing to enlist Churchill as a character in his epic, and for choosing to end with his words, which truly do embody the spirit of defiance and courage in the face of seemingly inevitable defeat that make the summer of 1940 such a mythic time in Britain’s history. Nolan’s Dunkirk is morally ambiguous in details of behaviour, but ultimately he has chosen to bolster the comforting, nationalist myth: just what a Britain facing Brexit does not need. This time the evacuation from the continent probably won’t end nearly as well; will it also be glorified in the year 2094? * Professor Peter Stanley of UNSW Canberra, Australia, is Honest History’s immediate Past President. After noting that the Canberra Times gives Dunkirk a 4 star rating … which for the CT is VERY high, I was ready to be off to it in our quaint picture house in NArooma, NSW. Then I read Peter’s extensive review and thought better … but today was raining so no work to do in the paddocks. The Kinema had a $10 seniors special do off I go … and I really enjoyed it. No wifey tapping her foot ‘another bl..dy war movie’, plenty of action and an uplifting ending … I enjoyed the picture, it won’t be in my mind forever. As a movie it is very entertaining and I don’t believe that PS got his review right. Specifically the three plot threads was a good technique, chopping between threads kept different plot threads bubbling along. The use of music was very good IMO. I thought the soldiers were mostly ‘upright’ chaps .. with the obligatory shirkers. The shows that not ALL soldiers were ‘honourable’. I have seen many WW1 pictures of bodies, and so on, in my studies over the years. The most disturbing image has been, and still is, that of Tibby Cotter (an ex Sydney Grammar School boy and Australia’s only Test cricketer killed in WW1) lying dead on the ground, in a row, with other boys partly covered by ground sheets. I don’t know why this is so? Saw Dunkirk. Voice kept whispering ‘Towering Inferno’, ‘Poseidon Adventure’; 3 potatoes out of 5. Good review. Peter has made up my mind (and confirmed my son’s evaluation of the film) “don’t go to see it, Dad … you will be disappointed” …..